Duncan Angove (pictured) is president of business applications company Infor, and is part of an ex-Oracle senior management team that has reset the company’s strategy in recent years. In a couple of recent interviews with Computer Weekly, he outlined what he sees as the company’s strategic capabilities. What follows is an edited version of those. What’s the cohesive strategic focus for Infor now, in 2014? It’s been consistent over the past three-and-a-half years, over two major enterprise product releases. We are an applications-focused company, in a market where there is a lot of focus on infrastructure, and we are very industry specific in our perspective. We do not believe in one generic solution – we enable customers not to have to customise. The second pillar has been to take a different approach to how you integrate all of these applications into end-to-end business processes. Too much money needs to be spent on the infrastructure side of things to deliver suites of software around middleware and databases, so we've had a huge focus on building on what we call the architecture of the internet, which [takes the form of] our next-generation middleware, ION. We announced the release of that about two-and-a-half years ago. ION is the connectivity tissue that brings all of our applications together into these end-to-end suites, segmented by industry. We've got 1,700 customers from a standing start, which is pretty good. We learned a lot at Oracle about how complex middleware can get – we bought BEA Systems. At Infor, we had the luxury of starting with a blank sheet of paper. Would you say the design element that the agency Hook and Loop gives you is a strategic capability – one that your competitors would find it hard to imitate? Most companies outsource this – we’ve built an interactive digital design agency, Hook and Loop, based in Manhattan. That location allows us to access an incredible wealth of talent in this digital design world – media agencies, ad agencies, website design companies, mobile software, and so on. We've got lots of different people, from eclectic backgrounds, who just think fundamentally differently about how you deliver experiences. About a year ago, we started to build a team. We hired a guy who had his own agency – Marc Scibelli – a Pulitzer Prize winner in information design. It's now the largest digital design agency in Manhattan, in terms of the numbers of creatives on staff. These guys are fundamentally reinventing the experiences that enterprise software delivers. And, that's another big part of our strategy. Can’t others do this too? Well, imitation is a form of flattery. We are all chasing the same idea, but Infor has an 18-month advantage. As a private company, we can afford to be more aggressive, and the same goes for the shift to cloud. In Hook and Loop, we've got the guy who did the special effects for The Avengers movie and Men in Black. We've got a guy who was the chief designer for Kenneth Cole. We've got lots of different people, from eclectic backgrounds, who just think fundamentally differently about how you deliver experiences. And we send them out – they work with customers, they observe people in the workplace, and they ask questions that we stopped asking. It's what Steve Jobs called ‘beginner's eyes’. 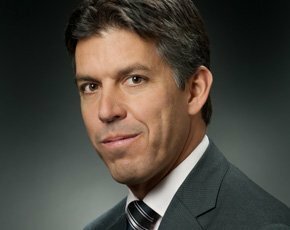 Would you say Infor assimilates its acquired technologies better than Oracle does? There are a lot of things that Oracle does really well. So, I'd like to think we took the things that we thought it did well. It has run a very efficient back office, for example. But there are other things, such as how you manage and look after customers, that we think we can do better. And then, we fundamentally wanted to rethink a lot of things that we think plagued CIOs and have plagued the enterprise software industry for a long time. User experience is something that always suffered and just needed radical rethinking. As for acquired technologies and integrating them, Oracle does do a good job of that. What do you make of Gartner’s idea of ‘postmodern ERP’ – loosely coupled applications that run mostly in the cloud, are ubiquitously mobile and have built-in analytics for making better decisions, and so on? We could take some credit for Gartner’s thinking on this, in that we were talking about loosely coupled a few years ago. The idea that you can have one monolithic code line that can do everything has proved to be a very difficult proposition over the past 15 years of ERP [enterprise resource planning] implementations. It’s too inflexible, it takes too long, and is just too hard to do. You have to accept that there will always be heterogeneity in an IT environment, and that no one supplier has a monopoly on innovation. For a company doing core ERP for the first time, or revisiting its ERP investments, why should it look to Infor? First, if you look at core ERP suppliers, few are growing market share. We are growing in double digits. The reason why is that we’ve completed the last mile of features for specific industries. Look at our M3 application – it does fashion, food and beverage, and distribution. Remember that 40% of all the modifications are done to cover off industry functionality. With us, there are no modifications. That gives us an advantage in the cloud, too. You can’t modify stuff there. You can move edge applications, such as CRM [customer relationship management] and salesforce automation, or HCM [Human Capital Management]. You are putting a big bet on cloud. Won’t there always be a problem for CIOs with cloud, to do with control – not so much security, as control? The appetite to adopt cloud is faster than we expected. I expected Europeans to be more hesitant, and have been surprised. ‘Upgrade X’ will help for us – for £50,000 we’ll take you to where you need to be to upgrade to the cloud. But with CIOs under 45 we have a better shot. Do you see much of a trend towards industrial companies providing business applications over the cloud? Yes, we do see that. It is more prevalent in the US. In healthcare, for example, companies that have invested in their own applications then make those available to private practices, smaller hospitals, and so on. Or in the public sector, you see e-cities making IT applications available to smaller towns. The appetite to adopt cloud is faster than we expected. I expected Europeans to be more hesitant, and have been surprised. This is not a threat for us, since the more people using the software, the better. We’ve got customers reselling for us. On a more personal note, what is the dynamic of your working relationship with Charles Phillips? I worked for Charles for seven years at Oracle. In our office in New York we all sit around the same table. There are no executive suites in our offices. We always said we did not want to hire someone senior we would not want to have dinner with. We are trying to build a culture that is more like a startup, the world’s largest – agile, non-bureaucratic, with fast decisions, challenging conventional thinking, and putting speed before perfection. As an example, we carve out two afternoons per week, as a senior management team, to do product reviews – and those products have to be running on our cloud. I don’t know many management teams that do that.